Nothing touches our hearts and souls quite the way music does. I am one of those fortunate people who spends nearly every day creating music to tell my own stories, or to help other people tell theirs. 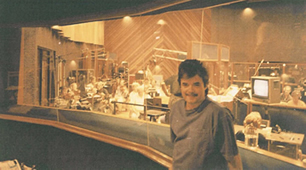 Whether writing a musical, a film score or contributing to a game, it is the challenges and rewards of each unique collaboration that I thrive on. Thanks for visiting my website! email me at tom@tomalonso.com or contact me on facebook! The following is a selected list of Tom's television and radio credits. If there is an x beside the name of the program of film, click it to listen to or watch a sample of Tom's work.